The 6th edition of LEVITATION FRANCE will take place on 21st & 22nd September 2018 at the Théâtre Le Quai in downtown Angers, France. Thanks to its location in the city center of Angers, Le Quai allows the festival LEVITATION to settle on the edge of Maine and facing the castle. Angers is located about 300 kilometers southwest of Paris on the banks of the Maine. Its universities, museums and cultural activity make it an important cultural center. This capital of Anjou has a rich history including many historic buildings such as the castle of the Dukes of Anjou (which houses the wall hanging of the Apocalypse) or the magnificent Saint-Maurice cathedral overlooking the city. Angers is also famous for its gastronomy with many local specialties and of course for its wine, the city being located in the heart of the wine region of Anjou. You can easily move around the city which is very welcoming. Renowned for its mild climate, the sun is often present in September. The festival starts every day at the end of the afternoon, which gives the festivalgoers time to discover the city. The festival is part of the twinning exchanges between Angers and Austin. For the event the Quai will be transformed with a scene installed in the Forum. The projections will dress this large space during the concerts. Next door, outside the building, there will be a first bar and restaurant area. Another outdoor area with bars and foodtrucks is planned closer to the small stage, installed in the T400. 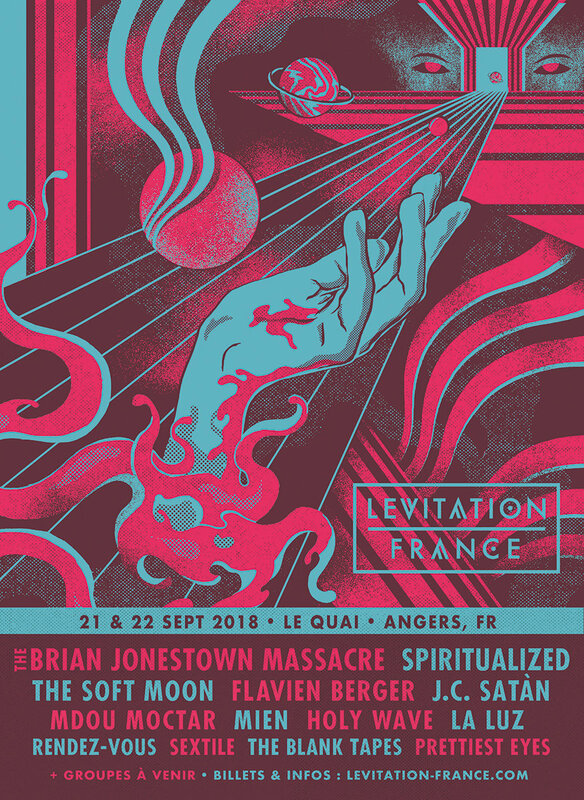 LEVITATION FRANCE concerts will start in the afternoon and end each evening around 2am. We will announce the schedules day by day before the festival.